Evolution also flew in the face of religious dogma, at a time when the institutions of science were very much in the ascendancy. While some religious sects accommodated the advance of science, others did not. In the US, certain fundamentalist Christian sects chose to draw their line in the sand at evolution. Evolution became “evilution” – the enemy, the cause of all evil in the world. Meanwhile, the scientific controversy over evolution was rather brief, lasting a few decades at most. The fossil, genetic, developmental, geological and biological evidence quickly piled up in favor of the various aspects of Darwin’s theory: common descent, change over time, and natural selection acting on variation as the dominant mechanism (I will heretofore refer to these collectively simply as evolution). But while scientists were quickly convinced by the evidence, the public was not. This disconnect continues to the present day. Greater than 98% of working scientists accept evolution as established fact, while less than 50% of the public does. Scientific understanding of the processes and history of evolution has advanced incredibly, and the modern synthesis of evolution is a rich, subtle, elegant, and beautiful theory. Meanwhile the public understanding of evolution is stuck on the 150 year-old basic concepts of survival of the fittest and branching descent. I doubt any significant portion of the public can give a cogent definition of punctuated equilibrium, coaptation, homology, or mechanisms of speciation. Most skeptics are familiar with the litany of creationist assaults on the teaching of evolution in public schools – the primary battleground of this particular issue. The evolution-creationism conflict is all about what gets taught to students in school, and what goes into their textbooks. The bad news for the US is that creationism has been a bigger problem here than in any other Western country. The good news, however, is that we also have a powerful weapon against it – the First Amendment to the Constitution, guaranteeing the separation of church and state. This law was challenged in the famous Scopes trial of 1926. John Scopes was found guilty of teaching evolution, but his conviction was thrown out on appeal on a technicality. This was a defeat, however, for the defenders of evolution because it meant that the law would not be challenged at the state or federal Supreme Court level. Anti-evolution laws remained on the books for the next several decades, and generations of Americans were simply not taught about the central theory of biology. Anti-evolution laws were eventually declared unconstitutional by the US Supreme Court in the Epperson vs Arkansas case of 1962. This led to the “creation science” movement. Creationism could not be taught in public schools because it is religious faith, so proponents simply renamed it “creation science” and lobbied for laws demanding equal time for creation science alongside evolution. They got 25 years out of this strategy, but then in 1987 equal time laws for creation science were declared unconstitutional in the Edwards vs Aguillard decision. This strategy failed its first legal test in 2005 in the Kitzmiller vs Dover case. Judge John E. Jones III essentially concluded that the ID proponents were not fooling anyone. Even though their rhetoric may be more subtle and sophisticated than the blatant Butler Bill, their intent was exactly the same. Now we are into the next phase of this apparently never-ending game. Creationists are now claiming that they are really for academic freedom – which is just another way of saying they want equal time to teach the controversy. It’s ironic that the creationist movement began by banning the teaching of an accepted scientific theory, and now are whining about being oppressed and all they ever really wanted was academic freedom. Right. It also appears that the next phase will take the battle beyond evolution itself. ID proponents in particular have identified the enemy not just as evolution, but as materialism – the philosophical underpinnings of science itself (the stakes are indeed high). Next on the hit list of materialist science is neuroscience – the study of mind and consciousness. There are several battlegrounds in this debate. One is the textbook industry. After the Scopes trial, evolution became too controversial for science textbook publishers, so they removed the “E” word from their books. This battle was lost for almost the rest of the 20th century. While evolution started to creep back into textbooks after 1962, the quality was abysmal. It is only recently, perhaps the last 20 years, that most biology textbooks approach a decent treatment of evolution (at least compared to their treatment of science in general, which in my opinion is unacceptably poor). Another battleground is the legislature. This battleground has seen one tactical loss in the Scope trial, but ever since then we have had a string of unmitigated victories. Whenever laws meddling in the teaching of science come before the higher courts, the First Amendment has prevailed. It is for this reason, in fact, that creationists have tried to change the battleground to the local level. They started fighting at the level of the school board and at the state level with the science standards. In this arena there has been a mix of victory and defeat. Creationists can pack a school board or department of education committee, and get their anti-evolution agendas passed. Sometimes public attention reverses the trend and rational standards are reinstated. But this continues to be a raging battle with no definitive victory on either side. We are seeing this play out now in Texas over the state science standards. And finally, perhaps the most important battleground – the mind of the public. The consensus of various surveys indicates that we are not doing well here. Less than half the public accepts evolution as an established scientific fact, and this number has not changed much over the last half century. It’s not clear exactly what to make of this. Perhaps this is a battle we cannot win – to the faithful, faith will always trump science. As long as fundamentalists are preaching lies about evolution from the pulpit, it may not matter what gets taught in the science classroom. Or, perhaps there has simply not been enough time. Improved evolution teaching may take generations to have a significant effect, and we have not achieved that goal yet. Evolution is still not being taught adequately, if at all, in many school districts. Meanwhile, the science of evolution is steadily advancing. In the long run I think that will count for something. The story behind this story is that the skeptical movement had played, and continues to play, a central role in defending evolution from its deniers. The mainstream scientific community correctly perceived the threat from creationism, but they did not have the tools necessary to fight it. This is perhaps best encapsulated by Duane Gish, a “creation scientist” who made a career going around the country debating biologists and evolutionary scientists in public. Most of the scientists who squared off against Gish got their clocks cleaned. They naively believed that because they were right – because they had science on their side – that they could easily win. They actually thought that being right was enough. They were not sufficiently familiar with the specific claims of the creationists, the ways in which they distort science, the half-truths they tell about the findings of science, and the subtle (and not-so-subtle) logical fallacies they commit to throw doubt upon science. They also did not understand the nature and pitfalls of public debate itself. They got blind-sided. They became stooges for Gish’s traveling show. Who came to the rescue and truly held the front lines of this battle, were skeptics and science popularizers. Those who spent their time explaining science to the public understood best how creationists were manipulating the public perception of evolution. Stephen J. Gould, for example, was key to the 1987 Edwards vs Aguillard victory. Since then other science popularizers, like Kenneth Miller, have played a central role. The most popular science blog is Pharyngula by PZ Myers – a developmental biologist who takes on the creationists at every opportunity. And of course Eugenie Scott took up the banner of evolution full time with the National Center for Science Education. She has been an effective watch dog on creationist shenanigans – she is like a general, sending in troops whenever skirmishes break out at the local level. The NCSE performed a Herculean task, organizing the expert testimony for evolution during the Kitzmiller vs Dover trial. It is important to recognize that these people and institutions are not simply extensions of mainstream science. They are skeptics, either all-purpose or specialists in the creation-evolution issue. What’s more is that the skeptical community has done an outstanding job of dissecting every last creationist argument and pointing out in detail all misstatements of fact and logical fallacies. They have not only understood the tactics used by creationists, but even started anticipating their next moves. Skeptics have also done a great job of educating mainstream scientists about creationism. 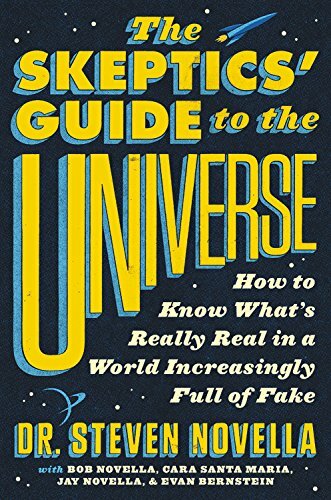 I recently interviewed Steven Schafersman of Texans for Science and Reason for the Skeptics’s Guide podcast. He has been on the front line for decades, and he reports that 20 years ago he was the lone skeptical voice fighting in Texas. When scientists were called upon to give testimony before the school board, they generally did not understand the arguments of creationists, they often argued past them, and basically didn’t get it. At the recent hearings for the Texas science standards, however, his experience has been totally different. Scientists and even students are making cogent on-target arguments. They have the creationist arguments nailed. And they understand how to explain this to non-scientists. Perhaps the skeptical community has actually managed to educate the mainstream scientific community about creationism, how to combat it, and the importance of defending science in the public arena. Maybe that’s partly why ID proponents are shifting their efforts to neuroscience – they want a naïve specialty to go after. At the beginning of this post I characterized creationism as perhaps our greatest victory. And yet I also described that we have had a mixture of victories and defeats on the various battlegrounds of this issue, and have made little progress in the ultimate goal of changing public opinion. Yet I maintain my former claim because on this issue the skeptical movement has discovered how to be successful. We have formed dedicated watchdog organizations, we have websites and books to serve as detailed references, and we have learned the tactics of our opponents and actually try to counter them, rather than just naively playing into them. We have clearly defined the relevant battle lines, and have strategies to deal with them. We can mobilize the troops at a moments notice. Even more importantly, we have fully partnered with the mainstream scientific community and have even trained them how to be good skeptics and science popularizers on this issue – or at least they understand their value. And within academia, otherwise ivory-tower academics know exactly what you mean when you bring up the issue of creationist incursions into science education. There is much work ahead – but we are winning. Next week I will discuss what is currently our greatest failure.